The price is for ONE single mesh filter. For twin carburetors, please order Qty 2. For Dellorto DRLA carbs, please order special made spacer. WEBER AIR FILTER SILVER POWDER COATED FOR IDF AND DRLA CARBS 20MM HOLE. 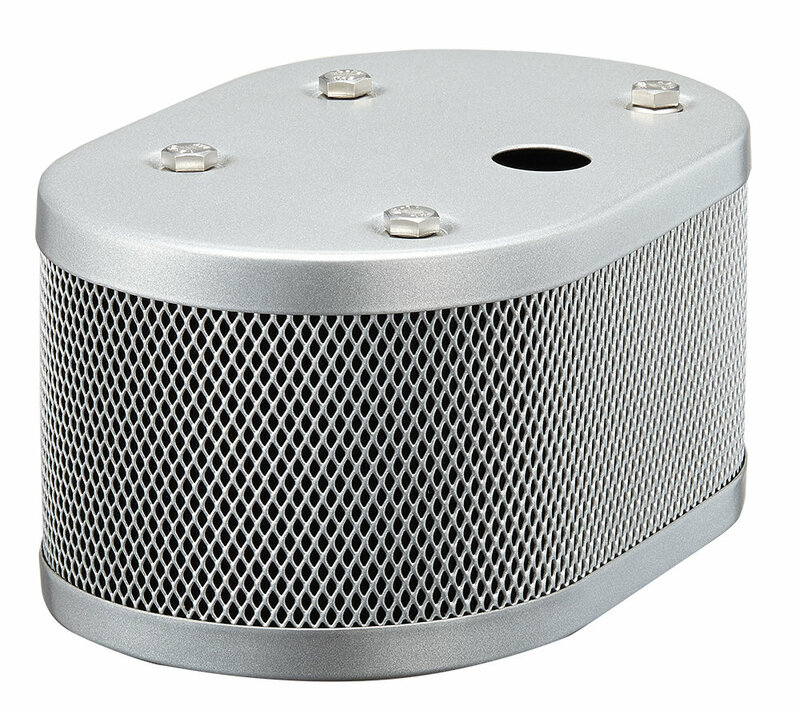 We have spent many hours of works and come up with this so detailed of Classic Oval Mesh Air Cleaner, with all the possibility for vintage or performance engine air filter touch up set. This oval mesh air cleaner set add the final touch of your classic engine. Fits on Weber IDF and Dellorto DRLA 40 / 44 /48 carburetors. also can be fitted with other different air filter. For EMPI filter, please use EMPI OVAL 3 ½” filter.